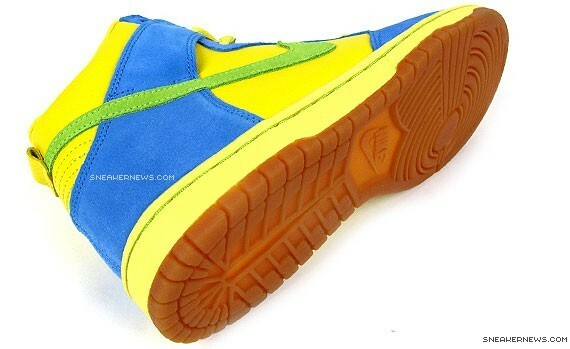 We have confirmed the mystery of the Blue, Yellow and Green Nike Dunk High SB’s that released in Asia recently. 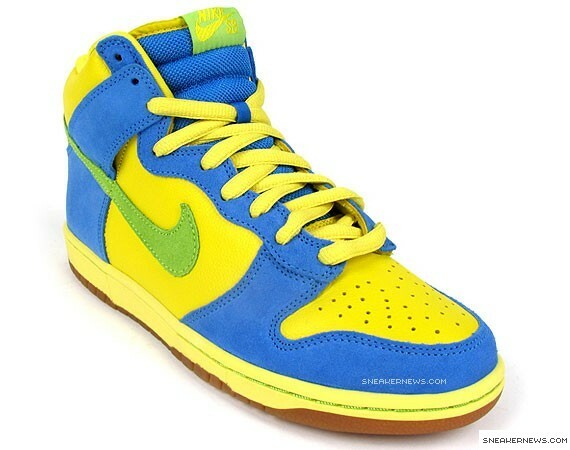 As you can see from the picture above, the kicks were inspired by Marge Simpson from the animated series “The Simsons”. 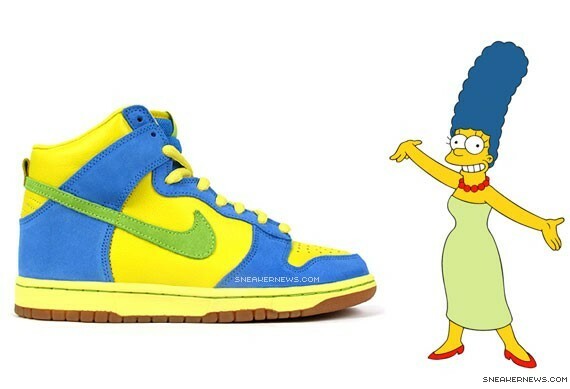 The colors of the Dunk is a blue suede representing Marge’s hair, the secondary color in a vibrant yellow is for her skin color and of course the green swoosh is from Marge’s famous green dress. 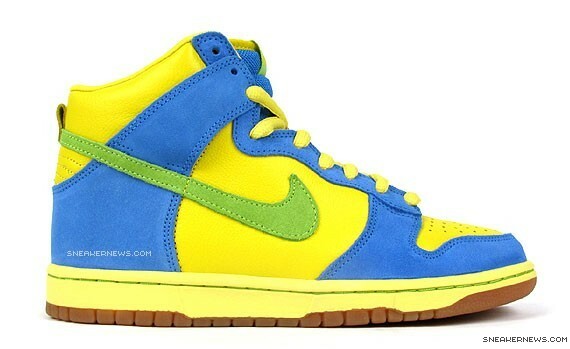 These sneakers should be an Asia/Pacific release, similar to the “Homer” Nike SB Dunk Low’s. For all you US heads, eBay is your best bet.